Zach Williams (1) for Best Contemporary Christian Music Album. But, to many a "head scratching" and surprise, Hillsong Australia took out the fifth award: Best Contemporary Christian Music Song Performance award. 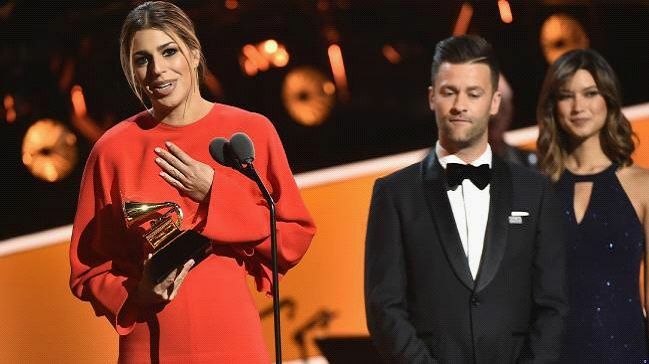 A surprise Grammy win for Australian Christian group Hillsong Worship has thrown a global spotlight on a facet of the music business that is largely misunderstood by those outside the church, if not outright ignored. Its song What A Beautiful Name was named the winner yesterday in the category of best contemporary Christian music performance/song. The song appears on the group's 25th live album, Let There Be Light, recorded at the Hillsong Conference in Sydney in 2016. On accepting the award, singer and songwriter Ben Fielding said: "No matter how far or close you feel to God, or no matter how great the distance, his love is greater, his name is more powerful, more wonderful, more beautiful than any other." Christian music is a genre that rarely crosses into the wider public consciousness, yet it has built an enormous worldwide following that runs parallel to the audiences who follow pop, rock and hip-hop. Hillsong Worship — known as Hillsong Live until a name change in 2014 — is one of three church groups that write, record and release original songs each year through Hillsong Music, which functions as a record label and distributor. Born out of the small congregation of Hills Christian Life Centre in 1983, Hillsong Music released its first album in 1988. 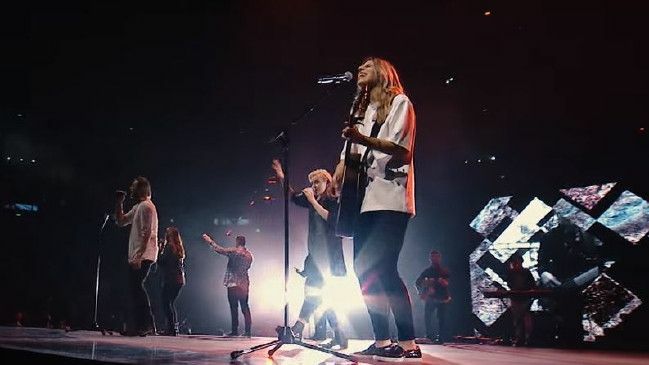 An Australian act with a truly international audience, Hillsong Worship attracts more than two million monthly listeners on Spotify, and has 4.4 million Facebook fans. In its most recent annual report, Hillsong Church claimed that the group reached audiences of more than 231,000 through its 2016 tours. In 2011, Hillsong Music Australia manager Tim Whincop told The Australian that the label had sold more than one million records in Australia, a number roughly comparable with the domestic sales of Adele's 2011 album 21. "We have a strong following in the US, UK, South Africa and South America, and also have a very strong presence in many of the European and Asian nations," Mr Whincop said. The music video for What A Beautiful Name was filmed in Sydney, and has attracted 112 million views on YouTube. The group's YouTube channel has amassed more than 531 million views. In the song's chorus, the group sings, "What a beautiful name it is / The name of Jesus Christ, my king," while accompanied by major chord progressions and pounding drums. Hillsong Worship was the only Australian act to take home a Grammy award yesterday after pop singer Sia Furler, Sydney trio Mansionair and rock group Nick Cave and The Bad Seeds all missed out.